Amandine is a 20m sailing yacht built by Jeanneau in 2015 and is the flagship of their range of yachts featuring clean lines with classic proportions and elegance. She is equipped with all the latest toys and technology to keep everyone entertained on board. Deck life on board is open and vast with plenty of areas dedicated to relaxing, sunbathing or reading. There are quiet deck spaces for kicking back with the family if you would like privacy. 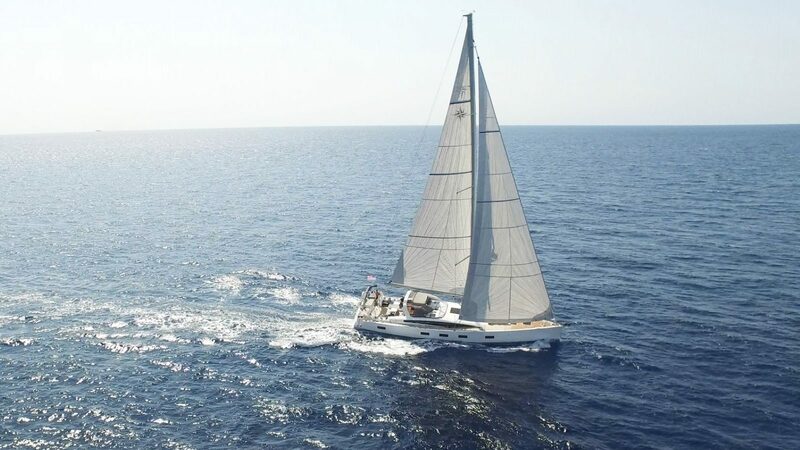 The product of a close partnership between world renowned designers Philippe Briand & Andrew Winch, this sailing yacht truly has a timeless appeal complimented by her beautiful styling. Amandine is a magnificent yacht with a modern hull that helps maximize performance and provides stability and plenty of interior space.